Everyone enjoys listening to music. I have finished reading my book. Admit, avoid, dislike, fancy, feel like, imagine, mention, mind, miss, practise, put off, suggest. We expected to win the game. I can’t afford to buy a car. Other verbs like this include: agree, appear, attempt, begin, decide, demand, fail, hope, intend, learn, manage, offer =, plan, pretend, promise, refuse, seem, want, would like. I love playing tennis. I love to play tennis. It continued raining all day. It continued to rain all day. Begin, continue hate, like, love prefer, start. A phrasal verb is a combination of a verb and a preposition, a verb and an adverb or a verb with both an adverb and a preposition, any of which are part of the syntax of the sentence. Phrasal verbs are important because of their figurative or idiomatic application in every day speech. • Verb + adverb, with object, e.g. He picked up his coat. • Verb + adverb without object, e.g. The plane took off. 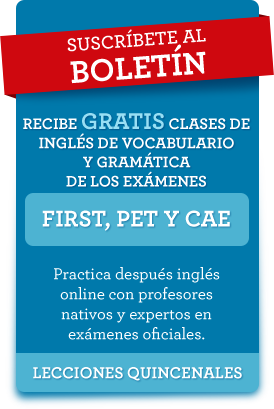 • Verb + adverb + preposition, with object, e.g. I got on with my work. Admission fee (n) the amount of money that you pay to enter a public event; for example; an Art Gallery or concert. Can afford (v) to have enough money to buy something. Put someone’s name down (v) to write a name on a list or document in order to participate in an event or course. Art gallery (v) a building that is used for showing paintings and other art. Sightseeing (n) visiting interesting places. Backpack (n) a bag that you carry on your back. Book ahead (v) to arrange to use or do something at a particular time in the future. Surfing (v) the sport of riding waves on a board. Catch up with (v) to reach someone or something in front of you by going faster, working harder etc. take up (v) to start doing a job or activity. tent (n) a structure made of metal poles, ropes and cloth fixed to the ground to sleep under . Cyclist (n) someone who rides a bicycle. Turn into (v) to change and become someone or something different. Value (n) how useful or important something is or how much money something is worth. Diving (n) the sport of jumping into water head first. Water-skiing (v) a sport in which someone is pulled behind a boat while standing on skis. Feel like (v) to want something or want to do something. Work out (v) to calculate an amount or to do physical exercise. the language you use, the clothes you wear,etc. Get on with (v) to continue doing something especially work or to have a good relationship with someone. Give up (v) to stop doing something before completing it, or to stop doing something for health reasons. Go off (v) to stop liking someone or something. Go on (v) to last for a particular period of time. Helmet (n) a hard hat that protects your head. Instrument (n) an object that is used for playing music. Join in (v) to become involved in an activity with other people. Make up for (v) to reduce the bad effect of something. Mountain-biking (n) riding a bicycle made for hills or mountains. Opening hours (n) the time of the day when a place is open to the public.